Key information about each state—capital, state flower, state tree, population, etc. Includes four-color picture of state flag. Grade 5–Adult. Also includes information on U.S. Territories and Other Areas. 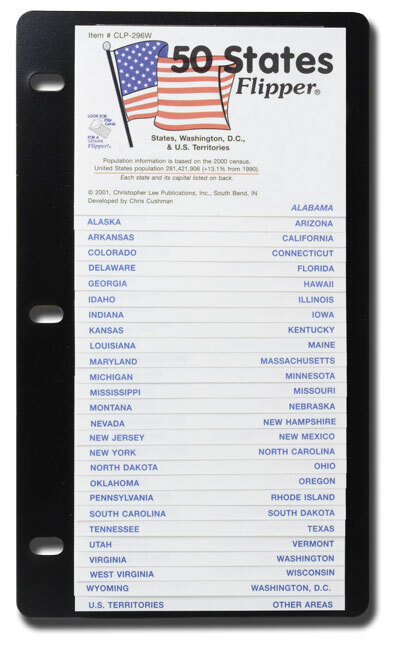 A State and Capital Quick Reference Guide is listed on the back of the Flipper.